Optimized for outstanding performance with either a Streak or Spot beam with a simple bulb change . The Professional combi Retinoscope guarantees you enough light to refract even the most difficult eyes. The only Retinoscope allowing rapid confirmation of neutralization. In both Streak and Spot modes you can change the beam from divergent to convergent enabling you to cross check the accuracy of the neutral point. The ability to double check neutralization in the upper position guarantees the assessment is correct every time. Improved 360 Degree access to a single control for both rotation and convergence adjustments. The precision movements are achieved b use of rare earth magnet technology. A simple finger movement allows a choice of 4mm or 1.7mm aperture to optimize brightness or resolution of retinal reflex. 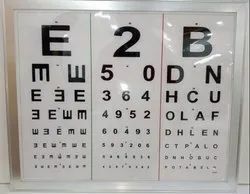 An interchangeable soft pad is available for spectacle warers. Designed and manufactured in the UK to the exacting standards you’d expect from a keeler instrument. The keeler D-KAT delivers reliability and ease if use. 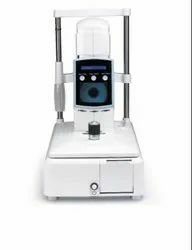 The LED display and internal electronics allows the fast accurate measurement of IOP- intraocular pressure. With less moving parts, the D-KAT is more reliable , accurate and recalibration takes just seconds. 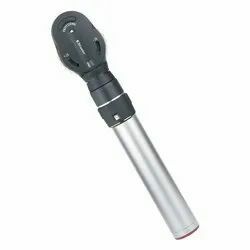 The Professional Ophthalmoscope has been designed to ensure ultimate control. Lenses, graticules and filters can all be introduced at the touch of a fingertip without the need to pull away from the patient. The positive action, easy, access, maywheel not only allows you to dial up the required lens quickly, but also gives you total control of where you in the lens range making each exam quicker and easier. The extensive range of +29D to -30D in single dioptre steps ensures easy examination of all ocular structures and covers a wide range of patient / User prescriptions. A quick step swing of +/- 20D helps speed up diagnosis. 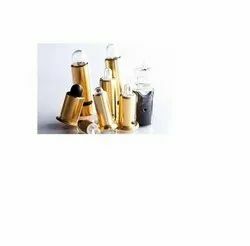 The Professional also uses Xenon illumination foe a brighter and whiter long lasting light. Giving you more power a d fewer bulb changes. The red free filter for enhanced vessel examination can be used in conjunction with any of the 6 diagnostic beams. The integral soft brow rest allows for easy positioning and protects your lenses if you are a spectacle wearer. Delivering 3.5x, 4.5x and 5.5x magnification. Higher magnification for advanced surgical procedures, Prismatic quality guarantees a true image. Edge to edge clarity and precise color rendition are ideal for intricate applications. The Prismatic loupe’s precision loupe’s precision lenses are treated with an anti-reflective coating to produce a superior image. The natural LED cooler color provides brighter, whiter illumination, longer battery life, freedom from purchasing bulbs and a life expectancy of up to 10000 hours. 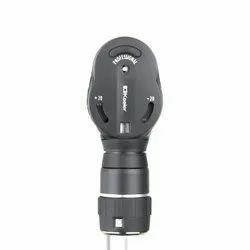 Clinically the superior optics combined with the natural LED illumination could provide greater detail, allowing you to find retinal pathology that was not visible with the Xenon bulb. Our new slim line Lithium Polymer battery weighs only 53 grams and is as light and as small as the new mini ipod. 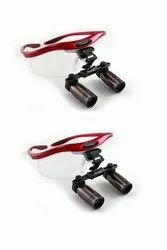 The new high contrast optics combined with the new natural LED or Xenon light source offer brighter high definition retinal images PLUS you get more life from whichever Keeler battery (metal hydride or Lithium)you use. Advanced textured engineering materials provide a lighter, smaller and more compact instrument instrument without compromising the renowned Keeler reputation for robustness, reliability and quality. IR/UV filters are built into the optics of the Vantage Plus with optional filters and a choice of 3 apertures plus soft light diffuser. AT last-now when you change the aperture the optics and mirrors automatically adjust for you, without the need to flip another level keeler has designed this unique one step movement to make your examination easier and faster. The (IOS) mechanism (Patented) means that when you select the small, medium or large aperture the optics automatically adjust, Providing 3 dimensional stereoscopic views of the retina through all pupil sizes. Allowing two observers to view the retina at the same time. The pulsair Desktop has a small and space saving footprint that combined with the elegant , slim optical mainframe allows it to blend seam lessly into the clinical environment. The openness of the design increases the confidence of both patient and clinician. Less is more. Pulsair Desktop is uncomplicated and therefore quick to use for the novice and professional alike. Taking control of tonometry has been easier or faster. Clear user controls and a color video alignment screen combine to set a new standard in usability. Keeler Pulsair tonometers use advanced optical and sensor technology for positional detection and puff control. Pulsair Desktop and Pulsair intelliPuff have software controls to manage the measurement data. If two consecutive readings are within +/- 1mmHg of each other the Pulsair will inform the user that sufficient readings may have been taken for that eye, saving precious time and increasing patient comfort. The offered chart is manufactured utilizing superior quality raw material and latest technology. Moreover, a team of our quality controllers conducts a series of quality tests on the entire range to seek out any possible defect. In tune with industry standard, we provide the entire range in various customized options and industry leading prices. All Keeler instruments use genuine Halogen and Xenon technology, yielding a brighter, whiter illumination and a longer life. Look at the bottom of your bulb to identify if your instrument is 2.8 V (Dry cell battery) or 3.6 V (Rechargeable battery). Delivering 2.0x, 2.5x and 3.0x magnification. The true benefit of this system is ease of use. Movement whilst maintaining focal clarity is possible due to superior depth of field. 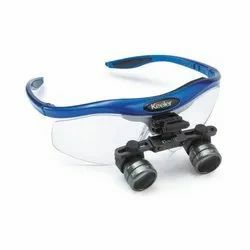 The lightweight aluminium bar with individual papillary adjustment provides the mounted loupes with stability and optimal focal alignment eliminating headache and eyestrain.